Incremental learning is an efficient technique for knowledge discovery in a dynamic database. Rough set theory is an important mathematical tool for data mining and knowledge discovery in information systems. The lower and upper approximations in the rough set theory may change while data in the information system evolves with time. 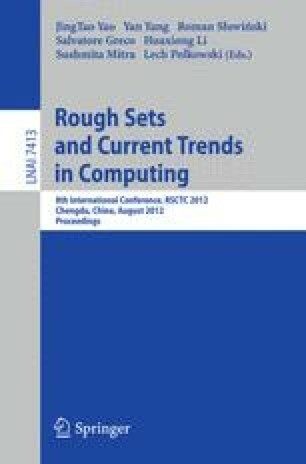 In this paper, we focus on the incremental updating principle for computing approximations in set-valued ordered information systems. The approaches for updating approximations are proposed when the object set varies over time.